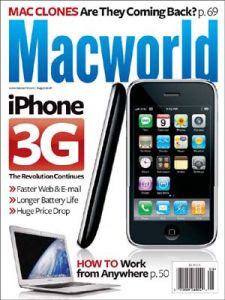 Macworld is a web site and monthly computer magazine dedicated to Apple Macintosh products. It is published by Mac Publishing, which is headquartered in San Francisco, California. Published since 1984, the magazine has the largest audited circulation (both total and newsstand) of Macintosh-focused magazines in North America, more than double its nearest competitor, Mac|Life (formerly MacAddict). Macworld was founded by David Bunnell (publisher) and Andrew Fluegelman (editor). Download Link for MacWorld Aug 08.